There’s no place like home, and what better way to make it feel even cozier than with wood? 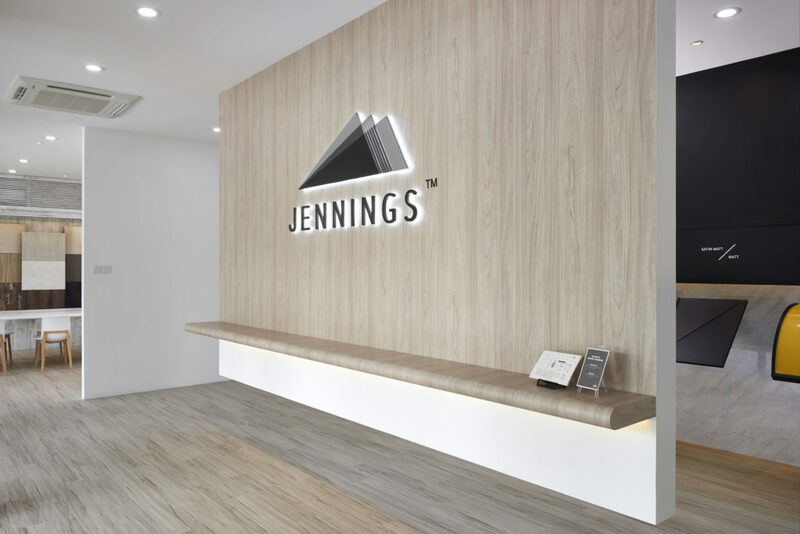 Jennings wood grain laminates can be the alternative to real wood on surfaces and cupboards to achieve a cottage-like setting, for example. For people who simply adore the organic style of wood, this is the sort of laminate that is versatile and will go a long way. 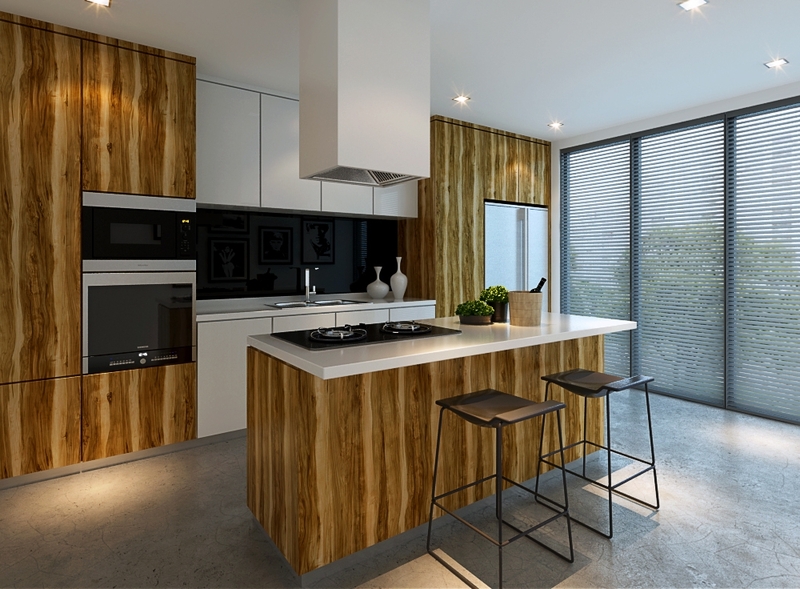 If you could use a little inspiration to get yourself started, continue scrolling and take a look at these four beautiful interior designs pulled off by our wood grain laminates. With an almost equal use of brown and white, there’s something unique emanating from this two-toned kitchen. The addition of Indian Shesman (PG1178SM) laminates on the cabinets and island countertop contributes a striking visual to the overall look. Not overwhelming the senses, the space does look much warmer than it would with an everyday white look. We always encourage our customers to choose high gloss or matt surface laminates in the kitchen as it might be difficult to clean off oil stains after cooking. In this example, Marron Cannelle Glamour Walnut (PJ2383SR) laminates on the bottom cabinet has a matt surface so you can rest assured that it will be a breeze cleaning your kitchen cabinets. These wood grain laminates ensures the space feels homey, and you can spruce it up even more when they are partnered with The White (ASG2700HG) laminates. The white gloss laminates on the top cabinet gives off a hint of sophistication while keeping it simple without competing for attention. The juxtaposition of both laminates in the kitchen instantly sets you in a relaxing mood to comfortably prepare a delicious meal for your family. A stunning combination of white and brown, a chic yet calm style is accomplished with contrasting touches of Real Teak (PG1661V) laminates. The room appears more intimate and homely with these dark wood tones. However, Lite Bolo (PG1771V) laminates on the storage areas are the true star of the show here. Not only do they upgrade the space as accent pieces, these laminates adds the much-needed texture amidst the smooth surfaces. The floor-to-ceiling headboard of Beige Nougatine Clark Walnut (PJ2248WY) cosy things up by maintaining the same neutral colour palette. Inject your favourite colours and take it a step further with our Hello Kitty X Jennings – Rose Garden (KT9811HG) laminates, especially if you are an avid fan of Hello Kitty. Sand Crystal (PG2013HG) laminates sandwiched between the Rose Garden laminates add that tiniest touch of light brown to balance out the bedroom aesthetic. As these are pearlescent high gloss laminates, the shiny surface of Sand Crystal laminates used sparingly here helps to brighten things up. If you are working with a small space, such reflective surfaces are the key in creating an illusion of a larger room. 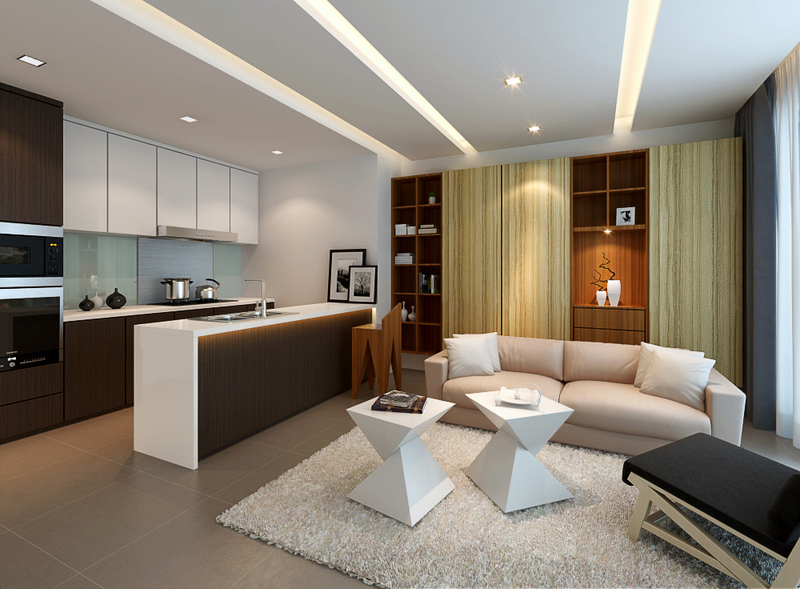 More than just making your interior look different from others, the most important thing is that you feel at home. Whether it is your bedroom, kitchen or living room, wood grain laminates welcome you in its warm embrace, reminding you that you are finally home once you enter through the door. Come down to our gallery today in search for the laminate that gives you the maximum comfort. Don’t forget to first visit our blog for more nifty tips and get the latest updates on our Facebook page today! Need more information? Drop us an online enquiry and we’ll be happy to help!